As in every collection, they have the original Jack shirt. This is Alexia's "own personal favourite, probably because it was the first piece we designed. Due to their cut I just think they make guys look really good." They've added three new shirts which have really added a new dimension to the collection, in Benny, denim and Sunday. The Sunday shirt is a button down and the cut is a little square making it a more causal shirt choice. In previous seasons they've received some feedback that their other shirts are too elegant in a way, so they wanted to have a few more relaxed offerings. In addition to the Sunday, they have added a denim shirt which comes in two washes, the washed is super soft and the other is influenced by work wear. Finally, they have added a flannel shirt, which again is more of a casual weekend shirt based on a casual workman's shirt. The looser fit and double pockets make it ideal for a dressed down look. The new shirts have certainly added a more relaxed dimension to the collection. The collection for AW10 has really grown with this season and in addition to the new shirts, they have added sweaters and jackets. Firstly, there is the Simon striped sweaters and cardigans which are all produced in Scotland and come in three gorgeous striped colourways. There is another new sweater addition to the line which is a hand made, heavy knit that can have a customised pattern added to it. Alexia enthusiastically confessed that this piece has worked extremely well with their buyers in the States who have integrated the logo of their stores in to the knit. As for the jackets, Alexia was inspired by Wes Anderson's Fantastic Mr Fox and his breathtaking double breasted corduroy jacket. Mr Fox's ensemble of a tight-fitting corduroy suit was based on fabric from one of the dandyish forty year olds own suits and it certainly captured the sartorial imagination of quite a few of us. Mr Fox's suit is made of orange/brown-ish corduroy and this really inspired Alexia Hentsch. It came as no surprise to see that its hero sports a natty double-breasted version of Anderson's own beloved suit, (as captured by the Sartorialist on at least one occasion) tastefully accessorised with a few ears of wheat in the breast pocket. The whole look is akin the colour of a leaf in autumn, in fact Anderson and his team wanted the whole film to look like Autumn. It is little wonder then that this film's style resonates so strongly, as you all know, I am obsessed by the colours of the season and dressing accordingly. 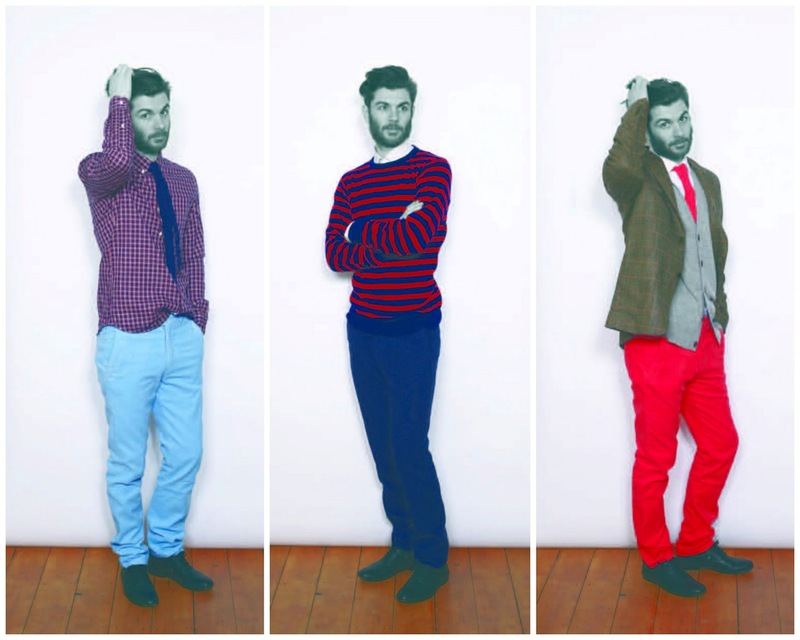 Hentsch Man have been making their Joe trousers in corduroy for a couple of seasons now in navy, coral, ochre, aubergine and sky blue. Alexia casually remarked that "AW10 felt the right time to make two piece corduroy suits" and it is difficult to disagree, I'd love to wear one. Their cords come in bright hues and there is something quite exciting and fun about seeing a corduroy suit in coral and sky blue. A mustard suit might be too much for some, certainly not for me but you could always wear them as separates. If these eye poppingly colourful jackets and trousers are still too much,the corduroy offering has been extended in to ties. I've not encountered a cord tie before and I just love the subtle texture of them, I could not stop stroking them. 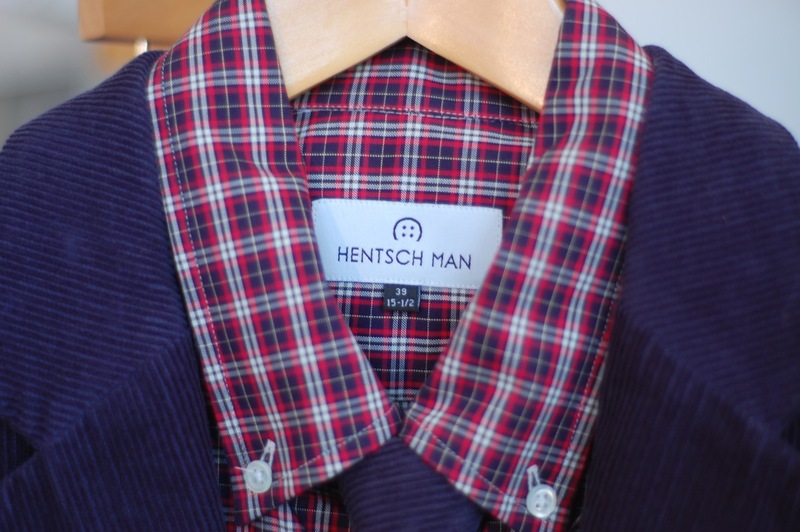 Finally on the jacket front, Hentsch Man have added a couple of safer options, one of which is a beautiful tweed jacket that has the same slim cut silhouette. 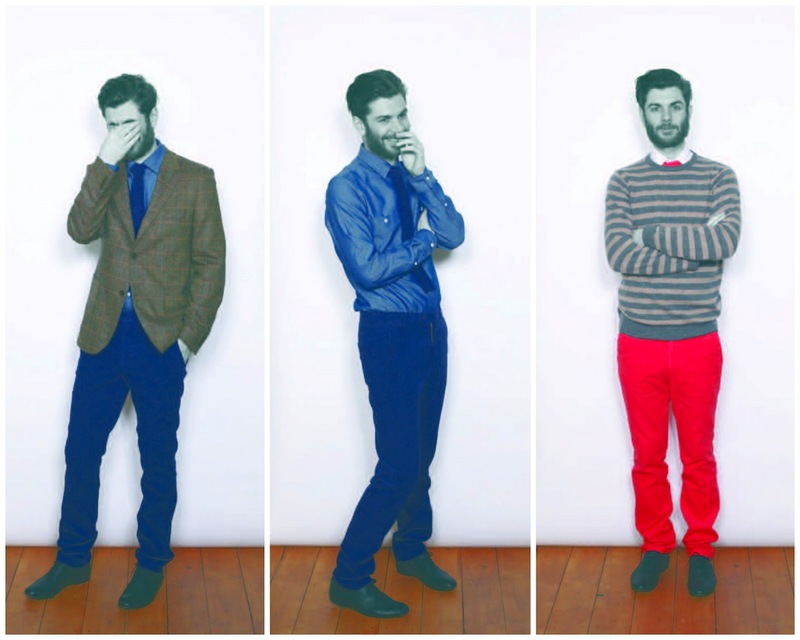 The role of colour in a man's wardrobe, particularly during the colder months is an interesting one. I feel that with the help of a certain Japanese high street retailer attitudes have shifted. As mentioned in previous posts, I have injected a much needed shot of colour in to my wardrobe's jugular in recent months. I have mentioned the 'Uniqlo effect' at least twice before on the blog and the Japanese retailing power house is still having an effect on the colours hanging on my wardrobe rail and I've had a a great deal of fun experimenting with the various hues. 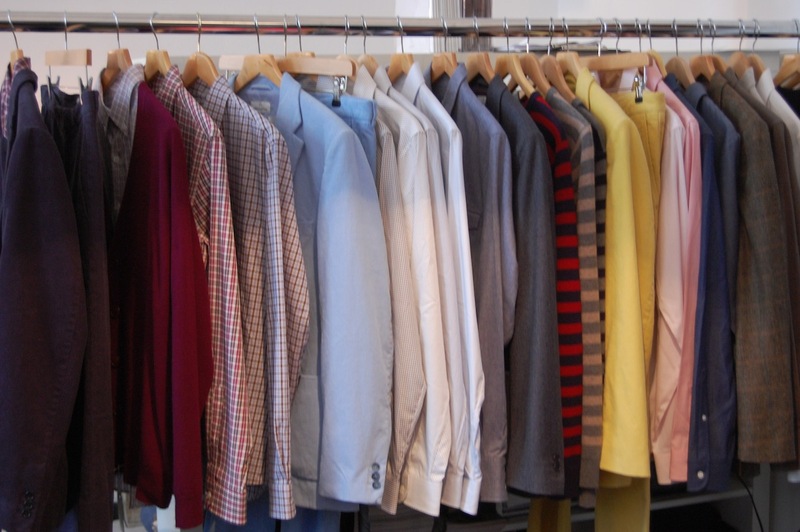 Walk in to any Uniqlo store and you are instantly hit with an almost overwhelming number of colour variations and it has certainly had an effect on most male attitudes to colour. 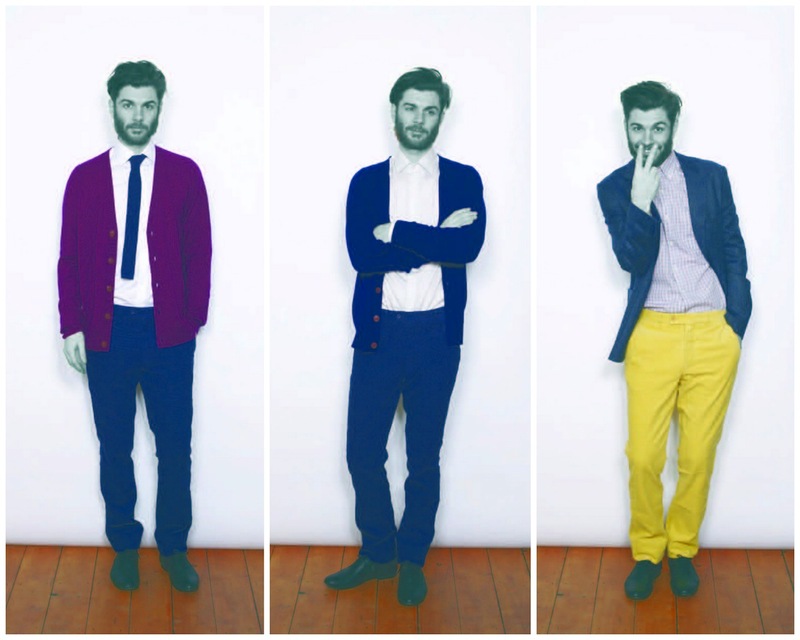 These colour variations confuse the mind initially but ultimately inspire. 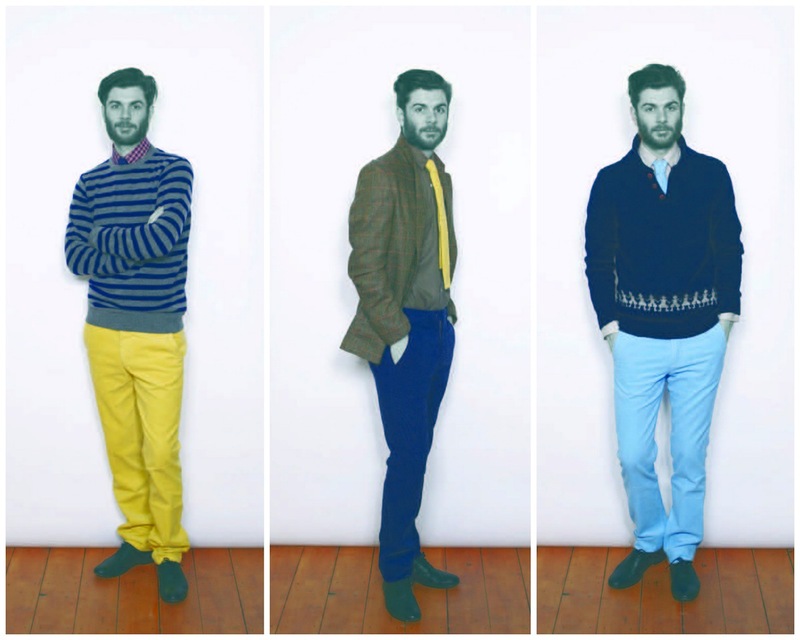 The available colour ranges have helped seduce me and many other men away from more muted tones. It is great to see brands such as Hentsch Man offer a similarly colourful but extremely well made and lasting alternative. Due to my recent colour experimentation I've discovered that there are a number of colours that actually suit my natural colouring and tones. Colours that I would have previously steered well clear of now grace my back and wrap around my neck. Even if some colours don't work together, it is fun trying. your blog is great !! for a french touch, go there! Great post. YES to colour during winter. These cords could cheer anyone up.